Coal tar sealants are asphalt pavement sealants that contain high levels of polycyclic aromatic hydrocarbons (PAHs). PAHs are known carcinogens, and they cause birth defects and learning problems like ADHD. They are a danger especially to young children and to fetuses growing in moms with high levels of PAHs in their bodies. How do PAHs from coal tar sealants get into our bodies? through ingestion, or swallowing dust containing sealant particles. The sealant wears off over time as sun and rain break it down, and cars and foot traffic abride it, creating fine dust. The dust enters nearby homes and also runs into nearby streams and rivers through stormwater runoff. In waterways, the dust settles in the sediment where it is toxic to small aquatic creatures at the bottom of the food chain. Sediment in many locations has been tested for PAHs, and elevated levels of the pollutant have been found. 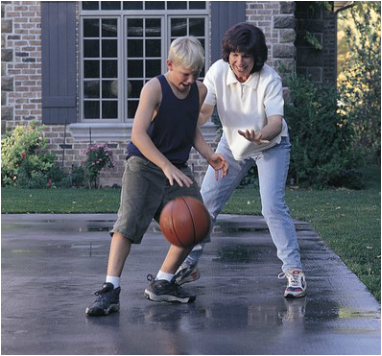 People who want to seal their pavement can use sealants that do not contain coal tar. Consumers can choose asphalt sealants, which are readily available at similar cost. Big box stores know that high PAH products are bad and they no longer sell them. However, some smaller retailers may sell high PAH sealants and commercial applicators may use them. Consumers, including schools, houses of worship, and park districts, have no way to ensure that they aren't getting poisonous sealants. Many local governments across the country, including the City of Milwaukee, the City of Ann Arbor, and Chicago suburbs like Wilmette, Winnetka, and Highland Park, have bans on the use of these sealants. Minnesota and Washington already have state bans. Lake Michigan, its tributaries and all of us need protection from these unnecessary pollutants. We are proud of our local League members working on bans in their states and localities. SAFER ALTERNATIVES EXIST - BAN COAL TAR SEALANTS! Freshwater Future, an organization that works for the healthy future of the Great Lakes waters, has created a terrific resource on coal tar sealcoats on its website, with information for municipalities, groups, individuals, and others. Coal Tar Free America monitors ban activity across the country. The U.S. Geological Survey has conducted several studies on the impact of PAH-containing sealcoats on our water resources. Find a 6-page Fact Sheet (2016) here. Find other USGS research results here. Dr. Barbara Mahler of the USGS gave a presentation to the Barrington (IL) Area Council of Governments in October, 2015. The 59-minute video of her presentation is worthwhile watching, and is available here. Science Daily article (published April, 2017) on research conducted at Oregon State University. Children exposed to coal tar sealcoats are at greatest risk of negative health impacts.